Professor Michael N. Hall from the Biozentrum of the University of Basel receives the Lasker Basic Medical Research Award 2017 – one of the most distinguished honors in biomedical research. With his discovery of the protein TOR, the biochemist was able to identify a key element in the regulation of cell growth, which is also responsible for the development of diseases such as cancer and diabetes. The American Albert and Mary Lasker Foundation honors Michael N. Hall for his fundamental discoveries in cell growth that have opened up a new field of biomedical science. "Michael Hall showed that TOR proteins control cell growth in response to nutrients and growth factors and thus established that growth is a highly regulated process that is independent of the cell division cycle," said Joseph L. Goldstein, Chair of the Lasker Medical Research Awards Jury. The Lasker Award is known as the highest award in medical sciences in the US. Many recipients of the Lasker Award have gone on to win the Nobel Prize. Prof. Dr. Michael N. Hall discovered the protein Target of Rapamycin, TOR for short, in the early 1990s at the Biozentrum of the University of Basel in Switzerland. By activation and inactivation of different signaling pathways, it controls cell growth and size. Uncontrolled cell growth plays a major role in the development of a number of illnesses. Dysregulation of the intricate TOR signaling network is involved in the development of cancer, diabetes, and cardiovascular diseases. Over the years, Hall has continually added important pieces to the puzzle in understanding TOR. For instance, he demonstrated that TOR is found in two distinct protein complexes, which explained the different effects of TOR signaling in the cell. The work of Hall has led to a fundamental change in how one thinks of cell growth and has provided critical information for the development of anti-cancer drugs. 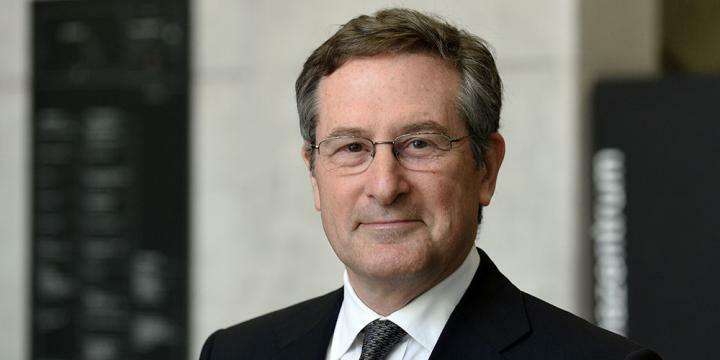 "I am extraordinarily pleased and deeply grateful that the Lasker Foundation has honored our fundamental research with this award," says Michael Hall in a first statement. "I hope that our work will pave the way for new scientific discoveries and allow the development of effective cancer therapies." "We are very proud of Mike Hall's achievements," adds Prof. Dr. Andrea Schenker-Wicki, President of the University of Basel. "With this award, an extraordinary scientist is being honored, whose discoveries have inspired the life sciences way beyond the University of Basel." "We are absolutely delighted that Mike Hall is being recognized with the Lasker Award. Mike has been a member of the Biozentrum for thirty years and it has been a privilege and a pleasure to witness the evolution of his groundbreaking work over that time", says Prof. Dr. Erich Nigg, Director of the Biozentrum of the University of Basel. The 64-year-old Michael N. Hall was born in Puerto Rico. He received his PhD from Harvard University and was a postdoctoral fellow at the Pasteur Institute in Paris and the University of California, San Francisco. Hall joined the Biozentrum of the University of Basel as an Assistant Professor in 1987, and has been conducting research and teaching as a Full Professor of Biochemistry since 1992. For his pioneering research Hall has received numerous prestigious prizes, including the Cloëtta Prize for Biomedical Research (2003), the Louis Jeantet Prize for Medicine (2009), the Marcel Benoist Prize (2012), the Breakthrough Prize in Life Sciences (2014), the Canada Gairdner International Award (2015), and the Szent-Györgyi Prize of the American National Foundation for Cancer Research (2017). He was elected a member of the US National Academy of Sciences in 2014. The Lasker Award is known as one of the most distinguished research awards in biomedicine worldwide. It is awarded in three categories each year by the Albert and Mary Lasker Foundation in New York. The award recognizes individuals who have made major contributions to the understanding, diagnosis, treatment, or prevention of human disease. Michael Hall is the sole recipient of this year's Lasker Award for Basic Medical Research. The Lasker~Debakey Award for Clinical Medical Research went to Douglas R. Lowy and John T. Schiller, both from the US National Cancer Institute. The Lasker~Bloomberg Public Service Award was awarded to the US nonprofit organization Planned Parenthood. The prizes are each endowed with USD 250,000. The official award ceremony will be held September 15, 2017, in New York. What happened 4,000 years ago in the Urals?